As the Skripal family was rushed to a Salisbury hospital after being found unconscious following an alleged exposure to a nerve agent, medics suggested that the pair was suffering from an opioid overdose, the broadcaster reported. At first, the doctors said they only knew that the two patients were in critical condition and needed to be placed in an intensive care unit; therefore the staff didn’t take any precautions. But after the policeman Nick Bailey became the third to be admitted with similar symptoms, medics started wondering how big the situation could get. READ MORE: Skripal's I Don't Believe It! “We would try all our therapies. We would ensure the best clinical care. But all the evidence was there that they would not survive,” intensive care consultant Dr. Stephen Jukes said. As they learned that the Skripals had allegedly been subjected to a nerve gas attack, the Salisbury District Hospital medics followed Porton Down experts’ recommendations, including treatment methods and tests. Last week, the Russian Embassy in the UK said that it was time for “British authorities to apologize to Russia for the hollow accusations accompanied by an unprecedented anti-Russian campaign,” as London has provided no evidence to corroborate its claims of Moscow’s involvement. President Vladimir Putin, in turn, has urged to stop the speculations and carry out a joint objective investigation instead. "I'm not a specialist in chemical warfare agents, but as far as I can imagine, if a warfare agent is used, the victims of this attack die on the spot, almost immediately. But nothing happened in this case. 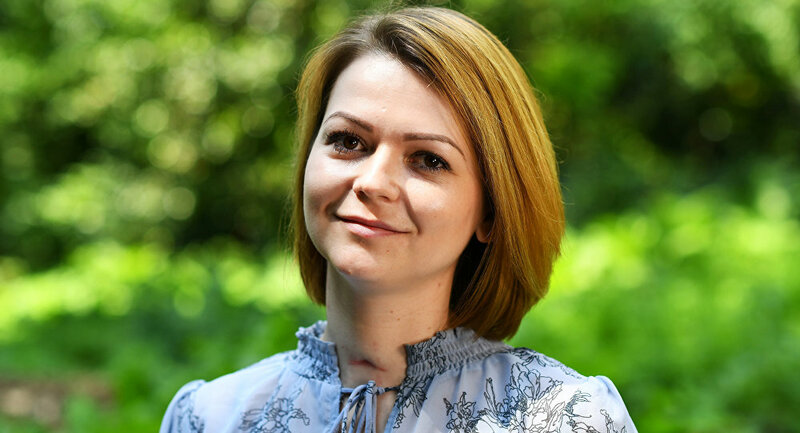 Skripal himself and his daughter are alive, and have been discharged from the hospital. His daughter looks quite alright, everyone is alive and well," the president stressed. Yulia and Sergei regained consciousness in April, and have already been released from the hospital after having been found unconscious on a bench at a shopping mall in Salisbury just a month before. The United Kingdom accused Russia of “attempted murder” with the use of a military-grade nerve agent and reacted by expelling 23 Russian diplomats. Moscow, in turn, has repeatedly denied its involvement, offering assistance in investigating the case, while London has rejected all offers of help.